Select a location to receive more information about our catering & private events. 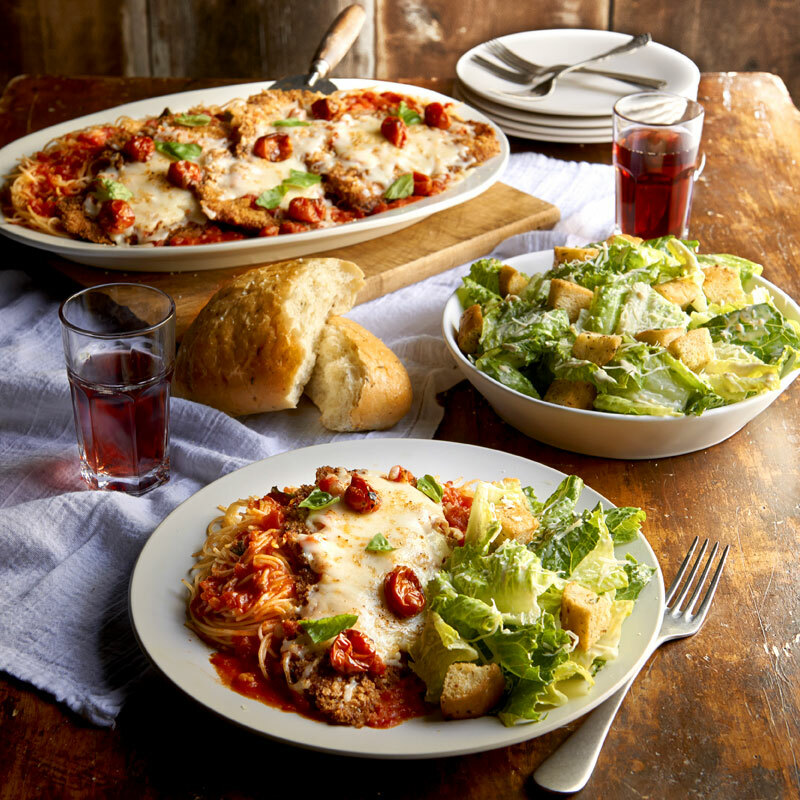 Macaroni Grill captures the Italian experience, down to each individual ingredient, and delivers the extraordinary flavors of Italy to groups and parties of any size. It's important to us to source ingredients, like our rich Pomodorina sauce, from small Italian farms to create better tasting food for you - and your guests. Whether you are planning your next work event, your birthday party or your wedding, we have a dedicated catering team that is happy to help create the perfect menu for your guest list - no matter your group size or budget. Please share the details of your upcoming party with us by emailing catering@macgrill.com. Same day orders are welcome! View FAQs.